Choosing the right digital marketing provider is crucial to achieving the results you want. You need a provider as results-driven as you and your dealership. \When marketing fills your sales funnel, the leads you get from marketing can make or break your sales goals. You need the best automotive digital marketing provider that will drive results and set up your sales team for success. But how do you know if you already have that ideal provider? Or if one of the prospective providers you’re screening can become the results-driven provider you need? Here are some questions to help you decide if your provider is just saying they can drive growth for your auto dealership, or if they have the strategy and industry experience to actually deliver results. Your digital marketing provider should be a long-term partner that sets you up to deliver on your projections for sales growth. While they should help you stand out from the competition, increase your visibility, engage leads and build trust in your community, they should first and foremost drive results for your auto dealership. Of course, you should always ask standard questions like, “What metrics do you report on? What’s your strategy to maximize my budget while driving the most leads for my dealership? Do you have clients I can speak to about the work you did for them?” The questions below are intended to help you choose a provider guaranteed to bring you results so you can sell more cars. Question 1: How does your provider report quality leads for your auto dealership? There’s a big difference between leads and quality leads. Quality leads, also known as Qualified Sales Prospects, express ready-to-buy activities, such as browsing inventory in your virtual showroom and trying to reach your sales team. Through this distinction, unqualified leads who book service appointments or apply for jobs need to be filtered out so your number of viable leads for sales isn’t inflated, which therefore inflates your close projections. Great digital marketing providers offer solutions to sort through the clutter of unqualified leads and accurately track and generate the leads that really matter. 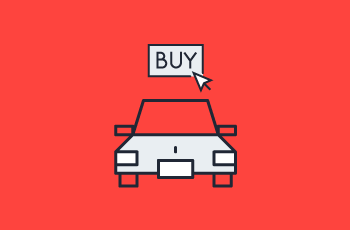 All form submissions, phone calls, chat messages and website browsing activity are accurately tracked and analyzed to determine which leads show intent to buy a vehicle from you. Question 2: Does your provider use their own marketing or tracking software? Now that you’ve found a digital marketing provider that focuses on the right results for your auto dealership, look into what technology they use to deliver them. Do they use a suite of marketing tools that they bought, or ones that they created? Bought tools are typically subscription-based services that run off of another company’s servers. Those tools are subject to downtime whenever the proprietor suffers any kind of problem, which can make them unreliable. Created tools are hosted directly by the provider. With that, the provider ensures that their tools are constantly available at all times and controls what to upgrade to better address customer needs. If there are any problems, the provider can address it first-hand instead of sitting on hold with a customer service representative. You need a digital marketing provider who uses both. Google Analytics, Google AdWords and Facebook Advertising are all tools that your provider should be using to generate qualified leads for you. But they should also have their own software to help enhance the function or lead tracking of those tools. For example, we have patented sales technology that tracks buyer activity, from phone calls to website visits, and it determines if leads are qualified or not based on that activity. That technology integrates with Google Analytics so that we can show clients marketing reports that are specific to the quality leads generated for all marketing efforts. We also serve customers with proprietary dynamic remarketing technology and used car advertising technology. Question 3: Is your provider a Certified or Preferred Partner with your OEM? Maximize the number of quality leads generated from your budget by working with a certified or preferred digital marketing provider with your OEM. Your OEM may have a certified digital program that offers incentives to partner with select digital marketing providers! OEMs select these providers if they have a successful track record with their dealerships, and the strategy and industry experience to serve local dealerships as a marketing partner. Depending on the OEM and their certified digital program, working with these partners will get you preferred price points or bonus funds. OEM incentives aren’t the only benefits you can receive by working with certified or preferred digital marketing providers. These providers understand your inventory, priorities and goals better than any other provider in the general marketing industry, and therefore they can drive stronger results for your dealership. At Adpearance, we have been selected as certified and preferred digital marketing partners for FCA, Acura, Volkswagen, Kia, Jaguar Land Rover, and Mercedes-Benz.We are proud to serve these brands, and more than 20 automotive brands overall, and drive results that help their dealerships maximize the number of cars sold month over month. Finding the right digital marketing provider should be just as important as hitting your marketing and sales goals. Your marketing efforts fill your sales funnel. If you are going to achieve your sales goals, you need to maximize the number of quality leads coming in from marketing. Only strong digital marketing providers can do that for you. Hopefully asking these questions to your current provider and possible future providers will help you separate out the best digital marketing providers from the rest of the pack. To learn more about how we can drive results for your dealership as your digital marketing partner, let’s chat. You can give us a call at (503) 548-1320 or request a digital marketing analysis for a free, holistic analysis of your digital marketing strategy and efforts.